LOS ANGELES — October is National Disability Employment Awareness Month and a new report released today on minority representation on broadcast television shows that scripted characters with disabilities will represent only one percent of all scripted series regular characters — six characters out of 587 — on the five broadcast networks: ABC, CBS, The CW, Fox, and NBC. Not only is this invisibility in the media misrepresentative of people with disabilities, it also means few opportunities for actors with disabilities to be cast. The annual Where We Are On TV report issued by the Gay & Lesbian Alliance Against Defamation (GLAAD) examined all series regular characters expected to appear on the 84 announced scripted series airing during the 2010/11 broadcast network television season. The group analyzed the characters’ gender, sexual orientation, race and ethnicity. This is the first year, however, the study has examined characters with disabilities. Download the report here . While people with disabilities are largely absent from the television scene, they are very present in the American Scene. According to the U.S. Census Bureau’s 2008 American Community Survey, the percentage of U.S. citizens reporting an apparent disability is slightly more than 12% (or 36.2 million people). The inclusion of people with non-apparent, ADA-covered disabilities, such as cancer or HIV, greatly increase this census number. Yet, even the original figure is nowhere nearly reflected by the broadcast networks. 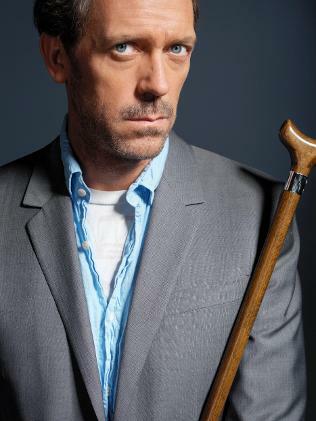 As of this count, three of the six series regular characters with disabilities scheduled to appear in the upcoming season are on the Fox network: the title character on House (pictured), who uses a cane, Dr. Remy “Thirteen” Hadley on House who has Huntington’s Disease, and Artie Abrams on Glee, who uses a wheelchair. On three other networks, Saul on Brothers & Sisters (ABC) is living with HIV, young Max Braverman on Parenthood (NBC) has Asperger syndrome, and Dr. Albert Robbins on CSI: Crime Scene Investigation (CBS) has a prosthetic leg. These characters, however, represent a disproportionate view of reality. All six are Caucasian and five are male. People with disabilities cross all diversity lines, be they ethnicity, sexual orientation, gender identity or expression, age, or gender. According to the U.S. Census figures, 51% of all people with disabilities are female, while only 18.3% of all people with disabilities identified as White non-Hispanic/Latino. In addition, only one of the six actors has a known disability: Robert David Hall, who portrays Dr. Robbins on CSI: Crime Scene Investigation. While the annual GLAAD report looked at the finite number of series regular characters on the broadcast networks, there is some notable advancement in visibility happening on scripted cable programming. The Big C on Showtime, for example, revolves around a suburban mom finding humor in her cancer diagnosis. On Showtime’s United States of Tara, the title character has multiple personality disorder. Notably, at least four cable characters with disabilities are portrayed by actors with disabilities: Character Walter White Jr. on AMC’s Breaking Bad has cerebral palsy, as does actor RJ Mitte; ABC Family’s Secret Life of the American Teenager features the character Tom Bowman, played by Luke Zimmerman an actor with Down syndrome, and Tom’s girlfriend Tammy, played by Michelle Marks, an actress with a developmental disability; character Thor Lundgren on Showtime’s Nurse Jackie has diabetes and a prosthetic eye, a storyline inspired by Thor’s portrayer, actor Stephen Wallem. What the most popular programs have in common is diversity in series regulars and stories. “We know that diversity makes those shows more interesting to watch, but the lack of representation on the broadcast networks indicates a failure to reflect the audience watching television,” said Hollander. “We encourage more inclusion of producers, writers, directors, casting directors, and performers with disabilities in the process of creating television that represents the vast range of people that make up the American Scene. GLAAD compiled as best as possible complete character data for all scripted broadcast network shows at press time. This I AM PWD analysis of characters with disabilities is presented with the disclaimer that some character information may change before or during the programming season. I AM PWD is a global civil rights campaign seeking equal employment opportunities for people with disabilities throughout the entertainment and news media. I AM PWD was founded by members of Screen Actors Guild, AFTRA and Actors’ Equity Association to bring media and public attention to the issues of media access, inclusion and accuracy for people with disabilities. You can visit I AM PWD online at IAMPWD.org .